A lighthouse-keeping family's dedication spanning almost 200 years. Now that lighthouse automation has been completed, what of the service and dedication to duty that was unfailingly provided by keepers, their associates and their families? Last of the Line is an account of four generations of lightkeepers, the first being John Hall, the author's great-great-grandfather, who was born in 1810. The memories of Harold Hall, the author's father, are recounted in great detail, including his childhood at Coquet Lighthouse during the First World War. Harold's records have allowed the author to provide a fascinating account of life in the service of Trinity House. It can be read how, in the post of Supernumerary Assistant Keeper for six years, Harold rarely spent more than four weeks at any lighthouse. However, once promoted to Assistant Keeper at South Bishop Lighthouse, he found some permanence, including a wife! 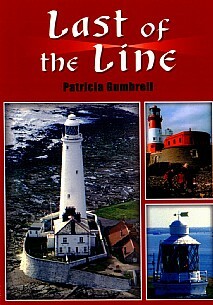 Patricia also relates her own rich experiences of life as a lightkeeper's daughter, including her very early childhood at St. Mary's Lighthouse during the Second World War before Harold's transfer to the rock lighthouse of Beachy Head. The end result is a captivating story of the Hall, Knott and Darling families and their connections by marriage - the well-known Grace Darling being the author's great-great-great-aunt! This will prove to be a must for all lighthouse enthusiasts and anyone with an interest in social and maritime history.